Corie Tappin, L.Ac., Dipl. O.M. is the founder and owner of SoulSpace Malibu. She is a Board-certified Physician of Traditional Chinese Medicine & Acupuncture, educated at Brown University (B.A.) and Yo San University of Traditional Chinese Medicine, where she was taught by renowned doctors Dr. Mao, Dr. Dao and Dr. Huabing Wen. She also serves on the Board of Trustees of Yo San University. She treats a wide variety of health issues, including pain management, athletes and orthopedic concerns, women's health & wellness, addiction, stress, and depression. She is also trained in medical Qigong energy healing and Acutonics Sound Healing therapy. 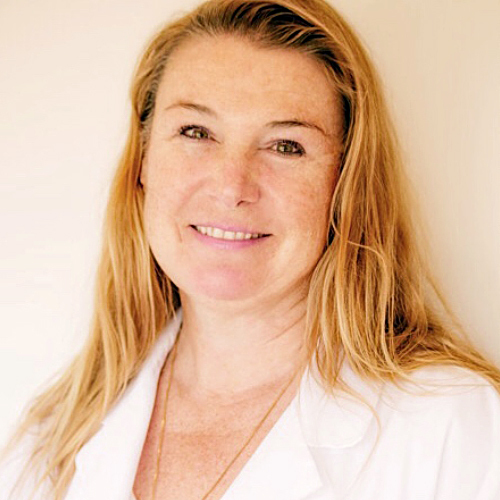 Dr. Beckman is a licensed acupuncturist and herbalist for more than 10 years who recently completed her doctorate in Traditional Chinese Medicine & Acupuncture, specializing in Healthy Aging and Longevity. She has studied the healing properties of herbs, holistic nutrition, flower essences, essential oils, and whole foods and combines all these elements with acupuncture to instill holistic lifestyle change. Dr. Beckman is available Thursdays and Saturdays for acupuncture and nutrition & lifestyle consultations. Dr. Beckman also works in Beverly Hills at the office of Dr. Khalsa. Call or text the office at 310-709-2536 to book an appointment or for more information. Kat McGee is reputed as one of the most progressive yoga teachers and coaches on the West Coast. Formally trained while living in India under the guidance of Swami Vishveketu and currently serving as a Lululemon Ambassador, she holds numerous certifications totaling over 1000 hours and is registered as an ERYT-500 Instructor with Yoga Alliance. Kat's approach to yogic arts is physically stimulating and ultimately heart centered. She holds transformative space for people from all backgrounds from the corporate and celebrity arenas to single parents. Her ability to meet individuals exactly where they are with complete acceptance is the pinnacle of what makes her technique so powerful. Winner of "The Best Expert Award" from Allure Magazine, Oleg has worked with elite athletes in the former USSR and NBA, NHL and NFL players in the USA. He is the Director of Advanced Studies at the Southern California Health Institute and has been on the cutting edge of sports massage therapy and rehabilitation for over 30 years. Oleg continues to work with celebrity clientele and remains committed to continued research and education by way of his non-profit organization, the Global Wellness Institute.